Is it possible that in response to the record floods of the Sours river system, some of the dams considered in the 1970’s under the bi-national Souris River Commission will be dusted off and moved forward immediately? The reports are held in the PFRA library in Regina. They contain about 4,000 pages of proposed flood control works that could have been implemented to prevent the disaster that is confronting communities from Saskatchewan all the way through to Lake Manitoba. Before this year is done, the flooding will most likely cost between $3 and $5 billion. I wonder if that big loss will motivate some action on constructing the $1 to $2 billion of flood control structures that could deal with this once in 50 year flood event? This has been a genuinely exceptional year in the Moose Mountain region of Saskatchewan. The number of severe rain and snow events and the accumulated precipitation has been huge. These conditions were anticipated by the planners who worked on the bi-national commission and a number of mitigating actions were researched and designed in concept. From what I can see, the problem is that the drought of the early 1980’s removed the pressure to act and the whole process was shelved. Communities in Saskatchewan, North Dakota and Manitoba are now paying the cost of that inaction. The big question in my mind is will our governments learn the lesson and realize that one in 50 or one in 100 year conditions do occur and we have to prepare for them? Indeed, is it time to restart the bi-national Souris River Commission to dust off the old plans and move them forward to implementation on the most rapid rate possible? 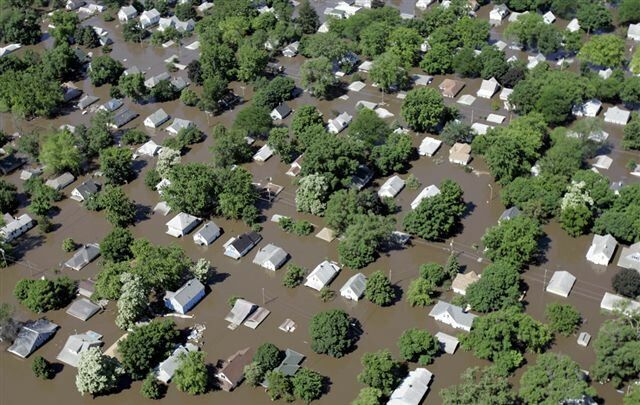 The images of the flooding in Minot have affected me deeply and makes me thing that our governments have to adopt a “never again” mission to dealing with flood control and mitigation throughout the entire upper Souris and upper Assiniboine water sheds.